American comic book writer Len Wein once said: In general, shorter is better. If you can encapsulate your idea into a single captivating sentence, you’re halfway home. When we use short sentences in both speaking and writing, the words we say and write will both be easily remembered and understood. The flow of communication will be smooth because using long sentences will often result to the receiver of the message having a hard time comprehending the message in a single go. Additionally, it will both be time-consuming for both the sender and receiver of the message as they can’t move on to another topic in the conversation. Short sentences are used in everyday speech and literature; plays, movies, books, poems, etc. We use it for a myriad of reasons but no matter how we commonly practice the use of short sentences, there are still some people who would get confused with this kind of sentence. Take a closer look on the usage and importance of short sentences with the help of this article. 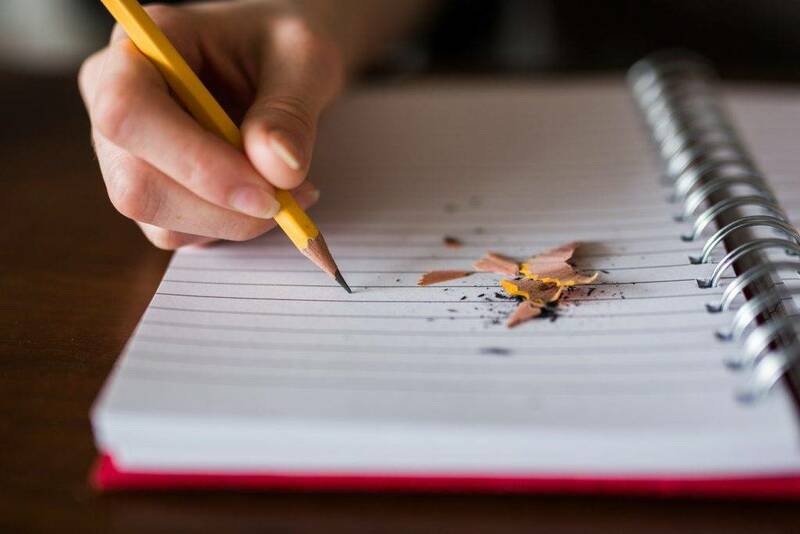 There are some who think that writing short sentences is easier but as soon as they get their hands on a pen and paper, they would often result in writing lengthy sentences. Short sentences, as the term suggests, are short, brief, and concise statements. Short sentences use lesser elements in order to form a comprehensive statement. Short sentences also come in the form of a truncated sentence. Both sentences are short but truncated sentences are intentionally cut short or truncated, hence the term. Why Should We Use Short Sentences? In stories or novels, one indication that something major is going to happen is that short sentences are written more frequently. Short sentences add spice to drama, action and excitement. Using short sentences is effective in building tension which aids in the overall quality and readability of the novel or story. Long sentences provide a lot of details but nothing can grab the reader’s attention like short sentences can. You can always incorporate every detail in a long sentence, but it will leave the reader confused as numerous details and ideas are crammed into one very lengthy sentence. The reader will definitely not be able to catch up, thus forcing to read the same sentence again and again. Imagine writing a sudden event in one lengthy sentence— don’t you think the thought drags too long? Dragging means having an idea, plot or story circle in the same direction for a long time. For example, if you are writing a suspense/thriller novel or a horror movie script, do not make the mistake of writing lengthy sentences. This defeats the purpose of a thriller-based story which center usually on sudden frights, scares and quick plot resolutions. With long sentences and lengthy narrations, you will definitely bore your readers as well as give them a headache. When you are tasked to make a book summary, for example, always take advantage of using short sentences. It will very difficult for you and to the reader if you use long sentences. Using long sentences will result to a longer written summary, defeating the purpose of writing a summary. Save precious writing or talking time by shortening your sentences. If you are writing a book, writing short sentences allows you to focus on the important parts of the story, as well lessen your printing costs. Meanwhile, when in you are in a conversation, the use of short sentences will allow the receiver of your message to better comprehend the message you want to get across. When you use long sentences, there is a tendency that you might lose the main point of what you originally intended to say. For example, you want to instruct your brother to get the towel in the bedroom. Instead of going for “Can you please get my towel that is hanging in my wardrobe?“, you can just say “Please get my towel. It’s in the wardrobe.” In that way, there will be fewer chances of your brother asking you to repeat where the towel is located. And since it’s an informal setting, you can even just say “Get the towel!“, supposing your brother already knows where the towel is. Confusing the receivers of your message or your readers will defeat the purpose of communication. Unfortunately, a lot of people have short attention spans. Give them consideration by truncating your sentences so that they will be able to retain information from what you have said or written. In this age when everything happens fast and gets accomplished in a split second, you might find the need to shorten your sentences so that your write-ups will be actually read. Due to technology and from a recent study as well, ten seconds is what people need to find a topic or story interesting. If you are planning to be a skilled writer or good conversationalist, you only have ten seconds to convince your listener or reader. 1. Mention the subject first. 2. Use the active voice of verb. 3. Remove unnecessary phrases between the subject and the verb. If your sentence can still be understood without those phrases, then weed it out. 4. Avoid getting verbose. Remember that the shorter, the better. 5. Avoid pretentious words as this can give an impression that your sentences are long. 6. If your lengthy sentence contains a subordinate clause, place it in another sentence. Since subordinate clauses (also known as a dependent clause) cannot stand on their own, turn it into an independent one. 7. You can separate a compound sentence into two separate sentences. 8. Always get the gist of what you want you intended to say. Despite the benefits that short sentences bring to your everyday speech or writings, it is not encouraged to use it every single time. Remember why people would write in short sentences and ask yourself those reasons as well. Do you intend to build tension? Do you want to grab your listener or reader’s attention? Are you going to present or narrate a sudden event? If you answer yes to all these questions, then go ahead and use short sentences.